The Fool is rated 4.3 out of 5 by 92. Rated 5 out of 5 by colorsplash from A Fun Game with Great Visuals A fun game that I replayed after many years and I still really like it. Not too complicated, simple but good art, and a sense of fun throughout! Rated 5 out of 5 by JulzCat from A Fool And His Princess Are Soon Parted I really enjoyed the humor in this game. 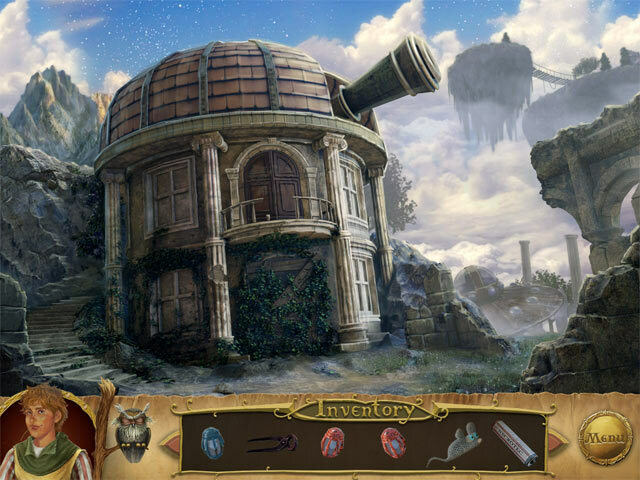 Even though there ARE hidden object scenes in this game, it felt more like a large file adventure game. 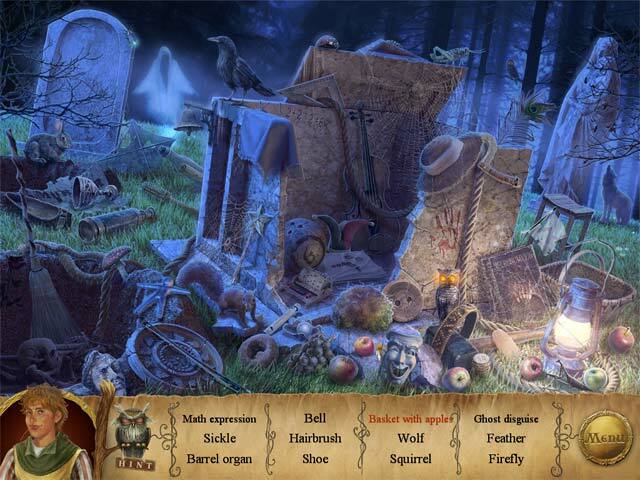 Hints and skips are available for puzzles and hidden object scenes, but if you have trouble finding something to complete your task, you're on your own. Big Fish has an excellent walk-through that helped me several times with this. I particularly liked it when the Fool has to go about in disguise. I've always enjoyed dressing up my characters in games. Rated 5 out of 5 by smilingsun72 from FOOL the dragon...GET the princess...not that easily! I've had this game a while but never commented on it. This game is delightful. The story is charming and humorous. The characters all delightful. The scenes are beautiful and the music excellent. The puzzles are not to hard or to easy. I liked the various places the fool travels to save his beloved princess from the dragon. No bells and whistles needed here because the game is pretty much straight forward. 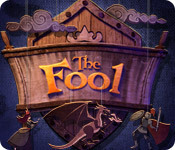 Rated 5 out of 5 by SharolynJean from Perfect Game What fun "The Fool" is! I appreciated the fact that you cannot use the hint button except during the hidden object searches. You are forced to use your mind and not take the easy way out and ask for hints. And, one of the top reasons I loved this game was one of the characters looks exactly like one of my sons. The Blacksmith is a dead ringer for my second son, Tony. I have shown the picture to several family members and they are as amazed as I am. What a treat! Rated 5 out of 5 by KeysPirate from Fun, funny, beautiful, delightful! I am so glad I found this game. I love the artwork -- lovely to look at even in the HO scenes -- and I am glad that the game doesn't make you feel rushed to get through so you can take your time and enjoy all the fun things there are to see. These are unquestionably the best HO scenes I recall seeing in any game -- clear and well-drawn but not super easy. I love the music and sound effects and humor and animations, e.g. leaves blowing around and dogs acting like dogs. Great atmosphere. The mini games are just right for me. I like it that they are mostly in context with the game, and require a bit of thinking. One minor problem... the game does not fill the screen unless I change my resolution to 1152x864. No big deal; I have to do this for a few other games (old and new) and I only mention it in case others might have the same problem. This game definitely needs to be enjoyed in full screen. A real classic! Rated 5 out of 5 by nospaceleft from Exceptional! Funny, delightful, nearly perfect! I am writing this review without having finished the game...I am trying to make it last longer!! This game has some of the best graphics and a delightful sense of humor, (some of it "sight" gags, and some more obvious). Even the HO scenes are bright but may be way too easy for the experts. The adventure itself is typical fairy tale, but the execution is very entertaining. Although the game could be made more lengthy by making the quest items harder to find, or more difficult HOs, I am really enjoying the light-heartedness and ease of play. A game to relax with!!! No "dark" scenes...Ugly monster types are really kinda cute...even the graveyard was pleasant. I am stalling because I don't want to finish the game...I need 5 more delightful chapters!! I see the devs. have previously had 2 Robinson Crusoe games at Fish....I will surely try them....hoping they will have the same wonderful humor and bright scenes. Do yourself a favor...don't miss this one! Rated 5 out of 5 by sapoe from great for me! I played this one when it first out and yes, I have fun (I never leave a review before). If you are a HOG lover well try this. That's way, I give it five stars because this game is good for my lazy time. Btw, thanks dev and good job! Rated 5 out of 5 by Blithbrand from Fun and challenging HO / adventure game I thoroughly enjoyed The Fool. 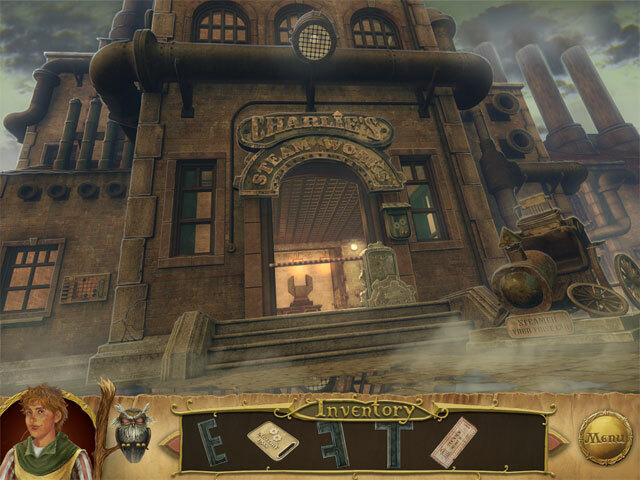 The story is whimsical, the graphics are excellent, and adventure game elements (find objects in the environment and figure out what to do with them) are very well done. I appreciated that there was actually a little bit of challenge to the game. So many HOGs are way too simple these days. Highly recommend!